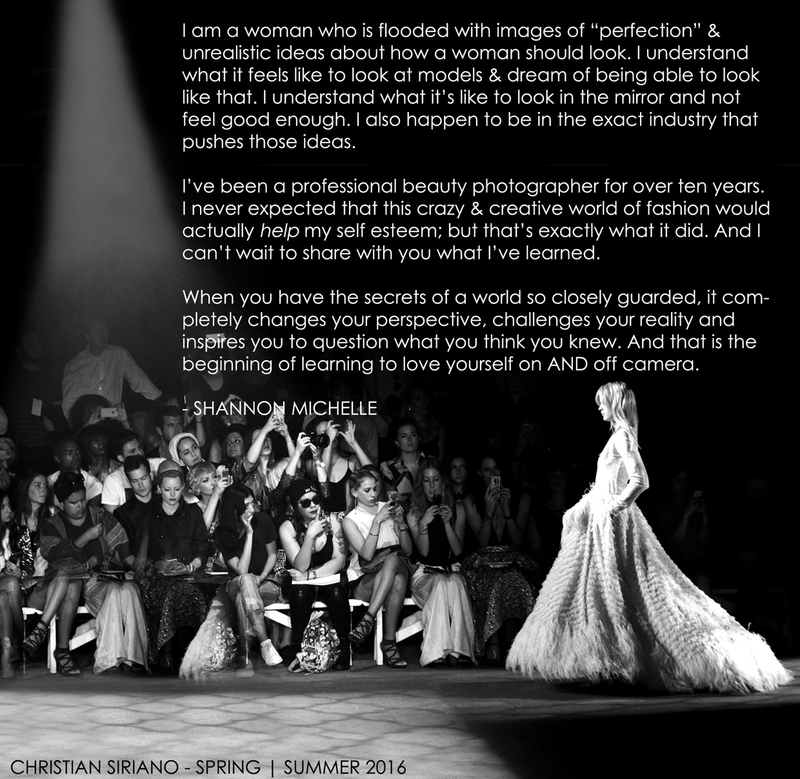 Shannon Michelle is a professional fashion & beauty photographer. She is a NY Fashion Week veteran, an author, a speaker, an educator and creative consultant. Her work has been featured on MTV’s MADE, ABC, CBS, NBC, FOX, and many more. Shannon is passionate about using her experience in the fashion industry to inspire women to see themselves differently and to learn to love the way they look on camera.